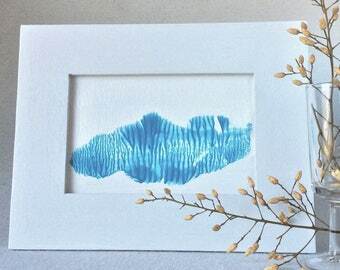 Just the pop of color to brighten that dark corner! 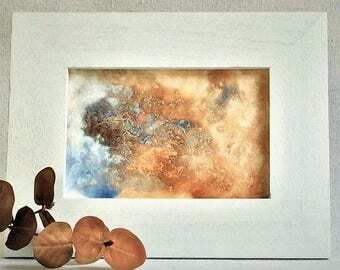 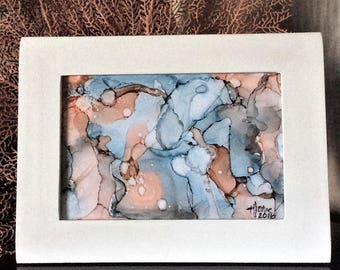 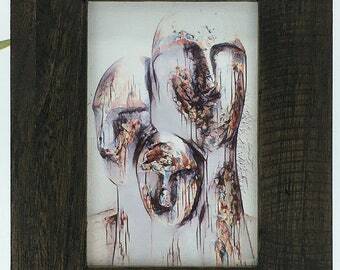 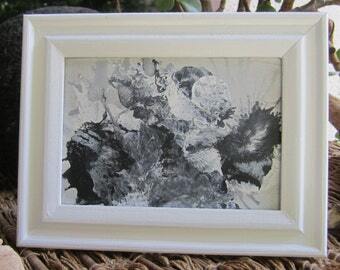 This white framed abstract alcohol ink artwork will add a spark of originality and style to any room and is designed for shelf, desk or tabletop display. 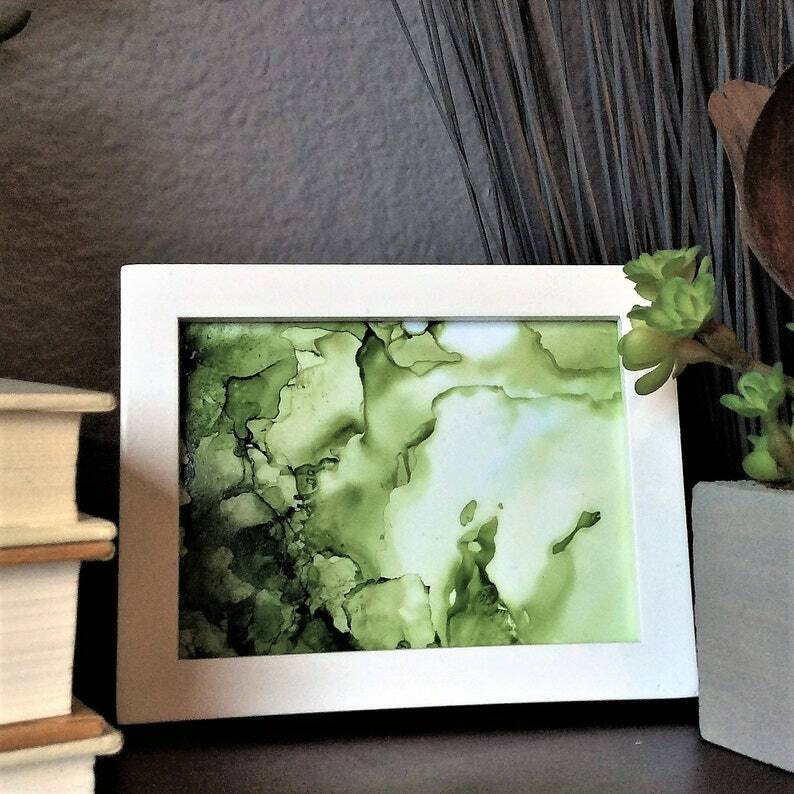 A unique gift for a friend, co-worker, loved one or for yourself? 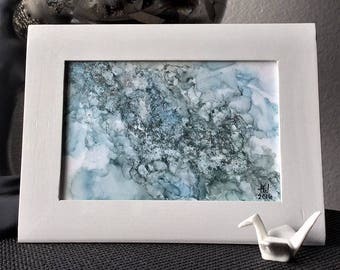 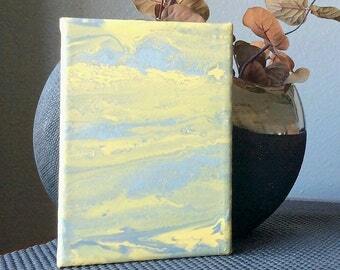 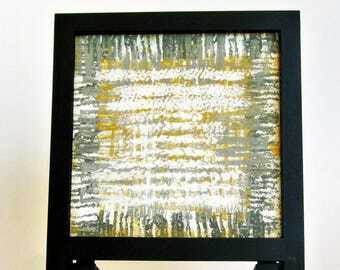 This is a beautiful alcohol ink accent piece for that small space ~ and YES, it's ready to ship! 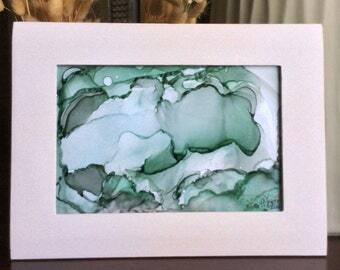 Alcohol inks in various green tones create a garden feel in this original one of a kind small abstract fluid painting framed in white. 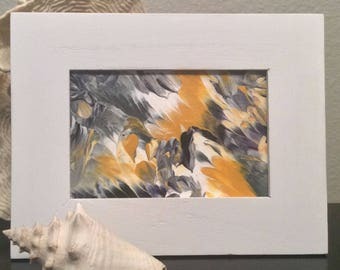 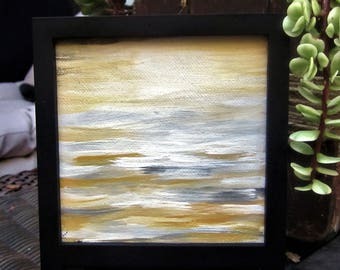 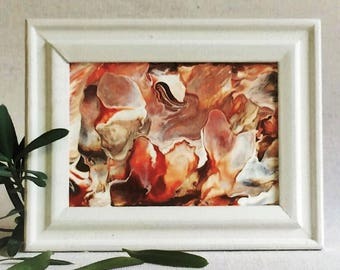 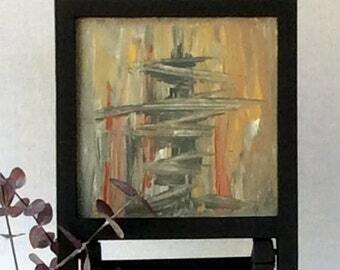 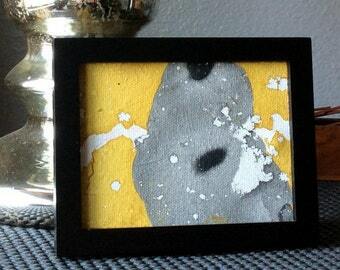 This mini abstract in a white easel-backed frame would look quite comfortable in an office setting or a bedroom, dorm room, child’s room, or maybe on a bookshelf, mantel, desk, bedside table, small nook, coffee table, patio or even a kitchen counter.